BE Analytic Solutions LLP is the first unique company of excellence offering Reliability, Availability, Maintainability and Safety (RAMS) as an Engineering Service to customers in India. In today’s highly competitive market, product/system Quality and Reliability are among the key differentiators. We offer cost effective turnkey solutions on Reliability Engineering Analysis. We cover the entire life cycle of the Product / Systems, starting from concept to phase off. This helps in improved product design and also meets the compliance requirements to many of the industry’s rigorous standards – IEC 61508, EN50126, MIL-STD and many more. BE Analytic has established a test facility for quality and reliability assurance of different Mechanical, Electronic and Electro Mechanical Products. The infrastructure includes climatic testing lab, dynamic testing lab, HALT and HASS. 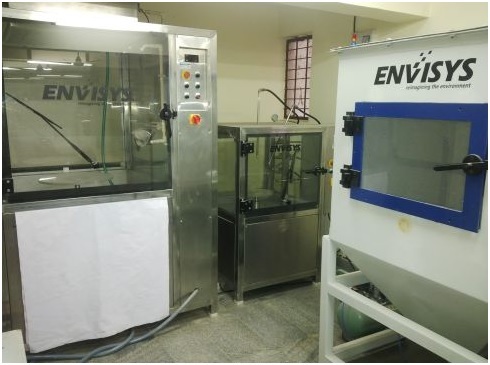 Environmental testing facilities are suitable to perform tests as per JSS 55555 & MIL-STD, IEC-60529, EN, DIN and ISO-20653, GS 95024-3-1, SAE J1455, ASTM C 150 . BE Analytic also helps to develop Test plans for Reliability Growth Analysis, Reliability Demonstration, Burn-in, HALT and HASS screens. Apart from performing compliance related tests, we also do testing of equipment for Failure Mode Analysis and Reliability/MTBF estimation during prototype phases. Training on Reliability is available as a Standard course or can also be tailored to your specific requirements. BE Analytic staff have wide industry experience and are very well qualified : M.Tech / PhD in Reliability Engineering and certified CRE from ASQ.